The uniquely Chinese concept of yin and yang reflects a basic principle of nature—opposites bound together as a mutual whole. Keeping them in balance makes things work in harmony. A leader can act as warrior and as a healer. As a warrior, the leader acts with power and decision. That is the Yang, or masculine aspect of leadership. But most of the time the leader acts as a healer, in an open, receptive and nourishing state. That is the feminine, or Yin aspect of leadership. This mixture of doing and being, of warrior and healer, is both productive and potent. – John Heider, The Tao of Leadership – Lao Tzu’s Tao Te Ching Adapted for a New Age. All beings carry Yin and embrace Yang, they achieve harmony by combining these forces. 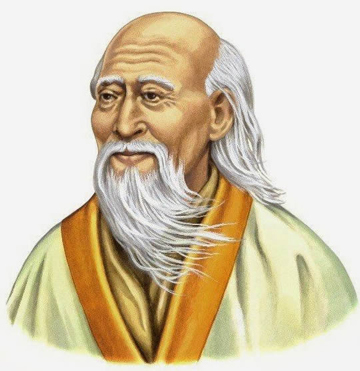 – Laozi, Dao De Ching, Chapter 42. A Master knows his glory, but he instead lives as a lowly being, the master contains all beings because of his openness and receptivity just like a valley can contain everything. – Ibid., Chapter 28. These virtues described by Laozi can help us understand that both masculine and feminine power come from a divine source. If we can learn to keep them in balance in our spiritual practice, that balanced power can really change the world. What are the virtues in masculine and feminine power? Traditionally, for masculine (Yang), they include: direction, logic, focus, integrity, stability, independence, discipline, confidence, force, strength, purpose, and control. For feminine (Yin), they include: receptivity, empathy, radiance, flow, sensuality, nurturing, affection, sharing, tenderness, patience, and love. … in the sight of Baha, women are accounted the same as men, and God hath created all humankind in His own image, and after His own likeness. That is, men and women alike are the revealers of His names and attributes, and from the spiritual viewpoint there is no difference between them. Whosoever draweth nearer to God, that one is the most favoured, whether man or woman. – Abdu’l-Baha, Selections from the Writings of Abdu’l-Baha, pp. 79-80. Know thou that the distinction between male and female is an exigency of the physical world and hath no connection with the spirit; for the spirit and the world of the spirit are sanctified above such exigencies, and wholly beyond the reach of such changes as befall the physical body in the contingent world. – Abdu’l-Baha, from a tablet translated from the Arabic. As the Dao De Ching tells us, the yin and yang qualities need to balance in order to achieve harmony inside and outside. The masculine power shows in our action and doing, while the feminine power shows in who we are and how we live. They represent the dual aspects of our spiritual lives, doing and being, productive and potent, logic and love. Beyond yin and yang as the movement of our individual lives, that duality also forms the process of civilization. We can’t achieve true human progress just by doing and without discovering and enhancing our feminine power. The feminine power nourishes our spiritual life and gives the human temple the life of the spirit. Look at the world we live in now, which seems more dominated by the masculine power. We know, though, that a truly divine civilization can’t progress without the infusion of the spirit. Nourishing the life of the spirit develops our feminine power, so the two aspects can be equally balanced. Learning to keep the balance of yin and yang is part of the process of our spiritual growth, to get back to our natural inner being. With it, we can look at every challenge in our life from a different perspective. As we do so, we learn more about ourselves, and understand which masculine virtues or which feminine virtues need to be strengthened. When something happens or something needs to be changed, we act with confidence and focus, and nurture with the tenderness of love and patience. With both feminine—yin—and masculine—yang—power in our movement, we keep the circle rolling. This rolling motion turns the wheel of Tai Chi. Both feminine and masculine virtues are the power (force) and energy (penetrating flow) of the spirit. From Laozi we know humility, peace and love are also feminine powers, and that conquest is a masculine power. Instead of the excessive drive for conquest that exists in the world right now, we can all, male and female, apply the more feminine qualities to our spiritual practice, subduing our own egos and acting with nurturing love and patience to restore the balance of Creation. I want to thank David Langness for his contributions to the article, and my husband for helping to correct my English! Thank you for this reference, I will read it. Dear friends, Thank you so much for the link. I read the article. It helped me see from a different perspective. What a wonderful article. Wonderful thoughts-thank you for this article!